Hey CNN, in Hawaii, we call them Hurricanes, not Cyclones! 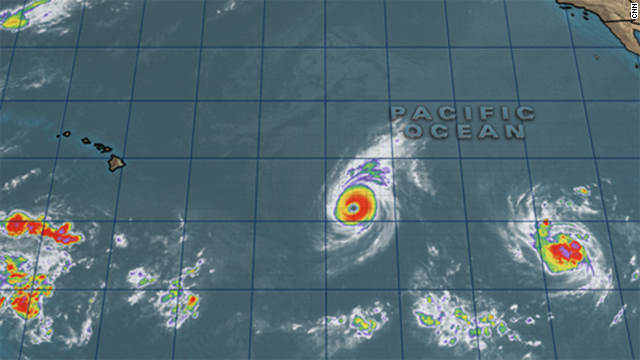 (CNN) -- Tropical cyclones in the Pacific do not worry some Hawaiian residents because direct hits historically have been so rare on the islands. Hawaii is a small target in a large ocean. But the state finds itself prepping ahead of what could be a pair of back-to-back smacks from Hurricane Iselle and Tropical Storm Julio. Even if these two storms weaken or don't make landfall -- as is usually the case around Hawaii -- they can still cause damage, including flooding and debris, experts warn. So I went to the store today to buy some hearthealthywholegrains (which I use to make my own chicken feed; not for human consumption,) and was bemusedly observing the circus of panic shopping going on as folks cleared the shelves of toilet paper, rice, bottled water, ramen noodles and canned food. I was able to grab my single bag of hearthealthywholegrains and go up to a single cash register designated for purchasing items that could be hand carried from the premise. Anyone with a shopping cart had to stand in a line that wound around the entire premise of the store. I heard folks grumbling that they were in line for over an hour. There was no one waiting at the hand carry register. I was in and out in under 10 minutes. Once again, I rest somewhat easier than most of my fellow Hawaii residents, simply because I've always adhered to the boy scout motto: Be Prepared. Now it's time to clean the guns, sharpen the blades, oil the chain on the saw, and batten down the hatches. If we ever have a real emergency in the US, we will be totally screwed. You're right, the best thing to do is have a good stockpile at home and just wait for the panic to die down. The crazies running wild in emergencies are usually more dangerous than the actual disaster. ...and keep your mouth shut about it. Ever since Talladega Nights, I can't see the name Julio without thinking "Julio's Thongs for Men." That said, I cannot take the second storm seriously enough to be concerned about it, ROLFing and such. Be that as it may, I hope your years of prep serve you well, and I look forward to your article ridiculing the panic (as someone who, somehow, managed to survive Thunderstorm Irene a few years back). Is there a way to email you? I'm a long-time reader and fan.